From the moment I saw her, I knew I couldn’t let her go. For a decade I’d stayed secluded, my appearance and attitude frightening people, keeping them away. But I’d come to like that, grow stronger from it. And then she came into my life, a spitfire of a woman who challenged me and showed no fear. I should have sent her away for her own good, but I was too selfish to let her go. I wanted her as mine even though I didn’t deserve her. I should have been afraid when he said I was his. His heart had grown hard and cold, his isolation making him hate the world. He thought people should fear him because of the scars he bore, but I found beauty in them. I was just the housekeeper, but I couldn’t help how I felt for him. Maybe he was a beast, a vicious animal hidden under a hard, powerful body. Maybe I should have run, but I knew he’d come for me, find me. Deep down, where I couldn’t lie, I wanted him to be mine. And that frightened me most of all. 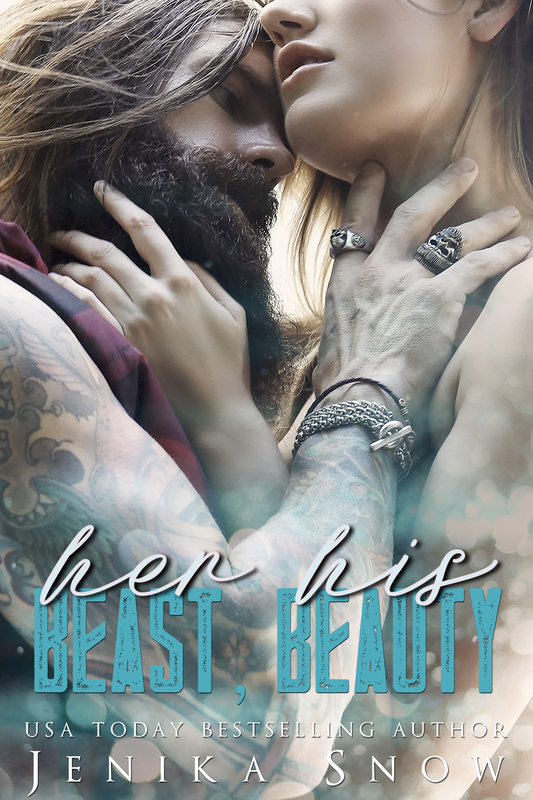 Warning: This is a sweet, fast retelling of Beauty and the Beast. But this isn’t the fairy tale you heard long ago. It’s packed full of hot, dirty bits that’ll make you squirm while you’re reading it. Don’t worry; it’s got that sticky-sweet Happily Ever After we all crave.